Classical Waldorf salad you’re easily going to fall in love with. 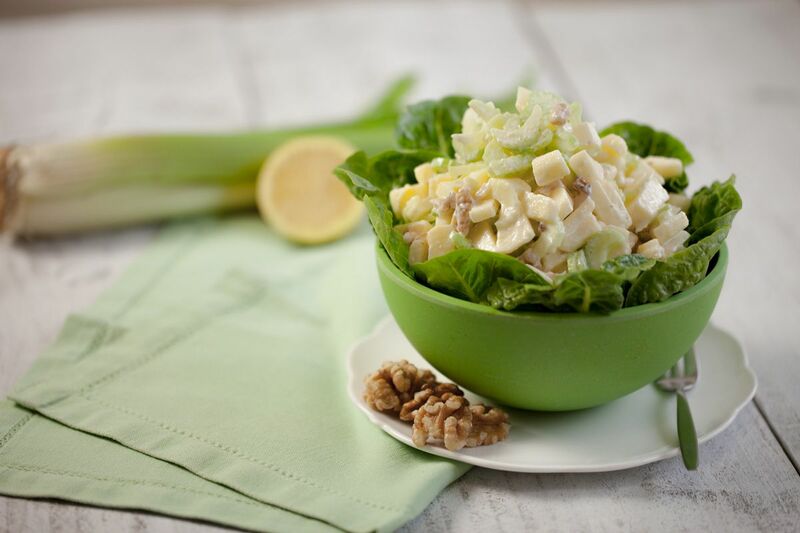 This classic Waldorf salad uses nothing but fresh ingredients for the best taste! Peel and core the sweet red apples. You can leave the skin on if you prefer. Cut the apples into small chunks and sprinkle with the freshly squeezed lemon juice. Remove tough strings from the celery and cut into parts like half moons. Rinse and clean the lettuce, make sure you rid it of all the sand. Slice into smaller parts to make it easier to eat. For this recipe we have used a nice fresh romaine lettuce. 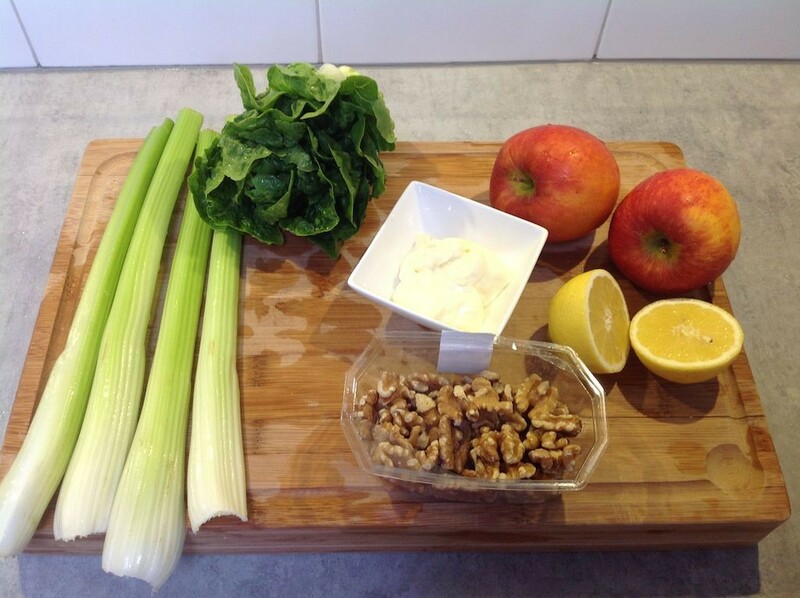 Mix the apple chunks together with the celery and crushed walnuts. Scoop and mix with some mayonnaise or French dressing to liking. Enjoy your salad! Hey guys, great blog! I just wanted to let you know that I nominated you for the Liebster Blog Award. You may or may not have heard of it before. I hadn’t until another blogger nominated me. Basically, it is a way for us bloggers to get to know each other better by answering some questions and then passing the torch. You can see it on my blog and it is all over Google. i have never made a waldorf salad before! definitely on my list of recipes to recreate in my ktichen.. looks delicious. Hi Thalia! Let us know what you think, it’s a really healthy and fresh salad to make. 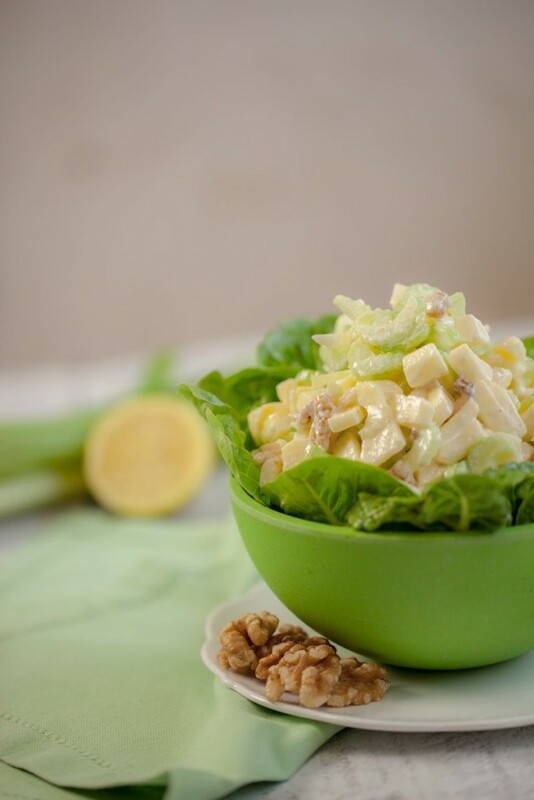 wow, your Waldorf salad looks amazing, I’ve tried this salad once, and will make again for sure. Greetings – came across by chance your site and why oh why did it take me soooo long to find you :). Wonderful recipes and most incredible photos. Who takes those? I must find time to go through every single one of your postings, soon!!!! Promise.